If you are within reach of Croydon, you are welcome to join us on Wednesday evening 19 May at 6.30pm for the opening. There isn’t a theme to the show, and I think some very different work from each of us. The show continues until July 12 and is open Monday to Saturday 9.30am – 5.30pm. 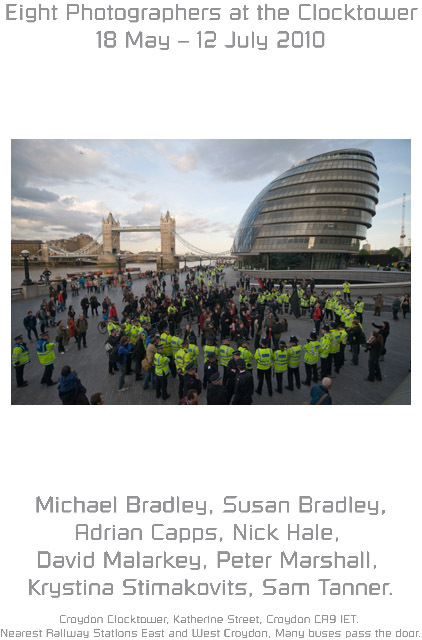 My six pictures are – like the one above – all about police and policing and I hope reflect my questions about who if anyone polices the police. I’m not anti-police, but I do think we have to be very clear about their role in protecting democratic freedoms and over the past few years have perhaps been drifting rather dangerously towards a police state. 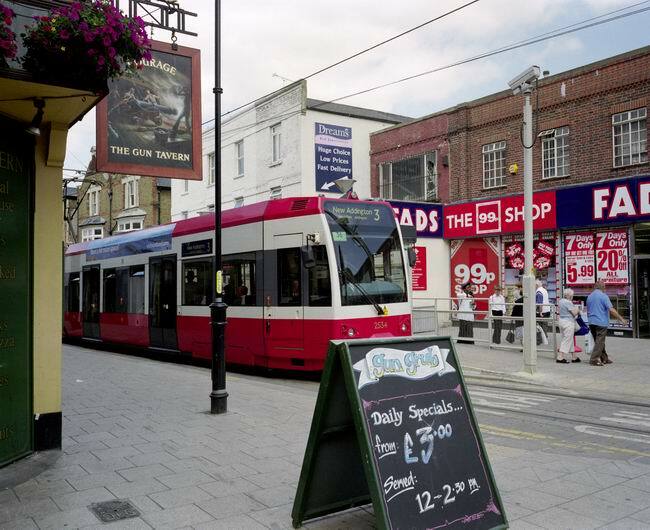 I’ve included one picture from Croydon, which for me revolves about an area a couple of millimetres square in the 24x36cm print, too small to see on line, so you will need to come to the gallery! This was one of the relatively few times I’ve worked with medium format – taken on a Mamiya 7. This entry was posted on Friday, May 14th, 2010 at 11:02 am and is filed under My Own Work, Photo Issues, Photographers, Political Issues. You can follow any responses to this entry through the RSS 2.0 feed. You can leave a response, or trackback from your own site.